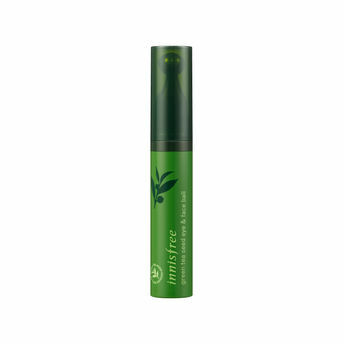 Innisfree Green Tea Seed Eye and Face Ball enriched with organic Jeju Green Tea is a refreshing eye and face serum that delivers hydration and antioxidants into the skin. It is equipped with a cooling rollerball massage tip to soothe tired and weary eyes, with utmost ease. With a cool texture and a roller ball massage, it helps to relieve fatigue of weary eyes and gives vitality to the eyes. Enriched with highly concentrated amino acids, this skin hydrating serum deeply moisturizes and awakens skin. The lightweight formula instantly revitalizes skin and keeps it feeling refreshed and nourished. Explore the entire range of Puffiness available on Nykaa. Shop more Innisfree products here.You can browse through the complete world of Innisfree Puffiness .